So how do you explain that 700 horsepower test mule that’s been tearing up the Nurburgring? There’s a curious case of ambiguity going on at Porsche when it comes to the much-awaited 911 GT2 RS. Just about every Porsche fan knows about this car and the hardware behind its Nurburgring-conquering abilities. Everyone, that is, except for Porsche. Following a recent article claiming that all 1,000 units of the supercar had been sold out, Jalopnik reached out to the automaker and came back with more questions than answers because according to Porsche, no such car exists. Jalopnik heard the following back from the automaker “Thank you for reaching out. 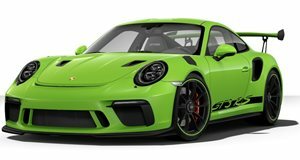 Porsche has made no official announcements on such a model,” responded a spokesperson for Porsche Cars North America when asked about the car. Hold the phone just a minute. How is that possible? We know the GT2 RS is a real tangible thing. We’ve seen it racing around the Nurburgring, our crafty spies have let shutters fly on cloaked GT2 test mules, and then there’s the fact that a handful of automotive publications have been invited to ride shotgun while Porsche test drivers rocked around the track in preproduction models. Suffice it to say, something doesn’t add up. Still confused? So are we, but don't worry because this news still doesn't explain the mysterious test mule we’ve seen and heard about. There is still hope. To that end, the spokesperson claimed, “Recently, several media outlets have reported on development drives of a new, performance oriented Porsche model. It has not yet been brought to market. We don’t rule out a surprise later in the year.” The takeaway here is that Porsche is pretty intent on handling the release and marketing of the car on its own. It has no qualms about giving away information about the parts, but giving enthusiasts too much hope is something that's officially off the table.